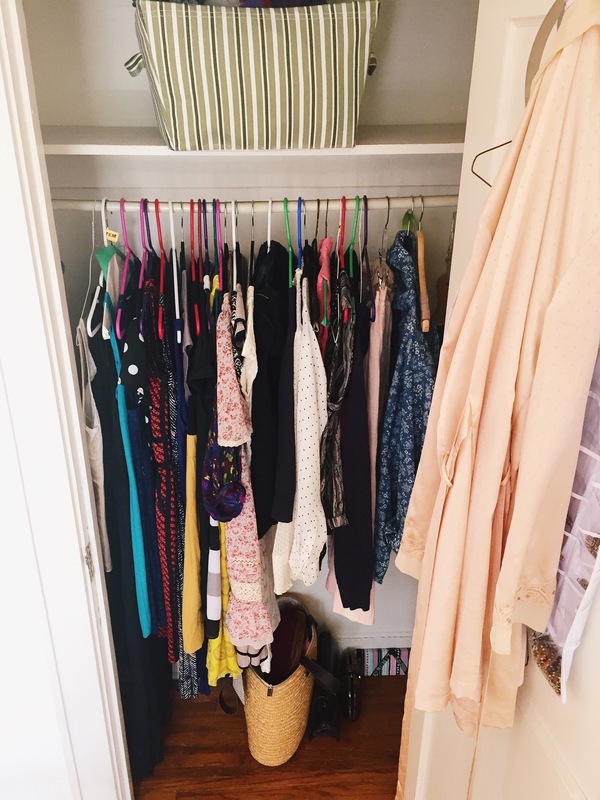 Cut Your Closet in Half – 5 Tips to Get Rid of Extra Clutter! As I am continuing to countdown the days until our move to Rome, things have been slowly falling into place. After multiple trips to the Detroit Consulate, I finally got my Student Visa in the mail three weeks ago and the hubs received his Italian Passport last week! We also held one successful yard sale (sorry no pics since I was a stress ball that day) in which we made $480! We are having another yard sale next weekend at my friend’s house on the other side of town in hopes to reach another clientele. After that, everything that is currently piled in my living room and hanging by a steel bar in my guest bedroom is headed to Goodwill because I do not have time to try and sell more (less than 60 days until our move people)! Behold, a packing disaster! 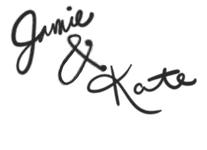 These photos are proof of my love for you readers because it is embarrassingly messy. I just keep telling myself that it won’t be like this forever since it’s really the only way I can manage. Anyway, if you think about it, our house is only a small two bedroom town home so really that big pile in the second photo is just a ton of stuff that we are selling and getting rid of (aka: stuff we’ve held on to for years but never actually used). Crazy, but I’ll admit that there may-or-may-not-be soccer cleats in that mess of a pile! I have not played soccer since the spring of 2006 and I’m pretty sure I would break a hip if I tried to play now! Yet, I have held on to these babies since. 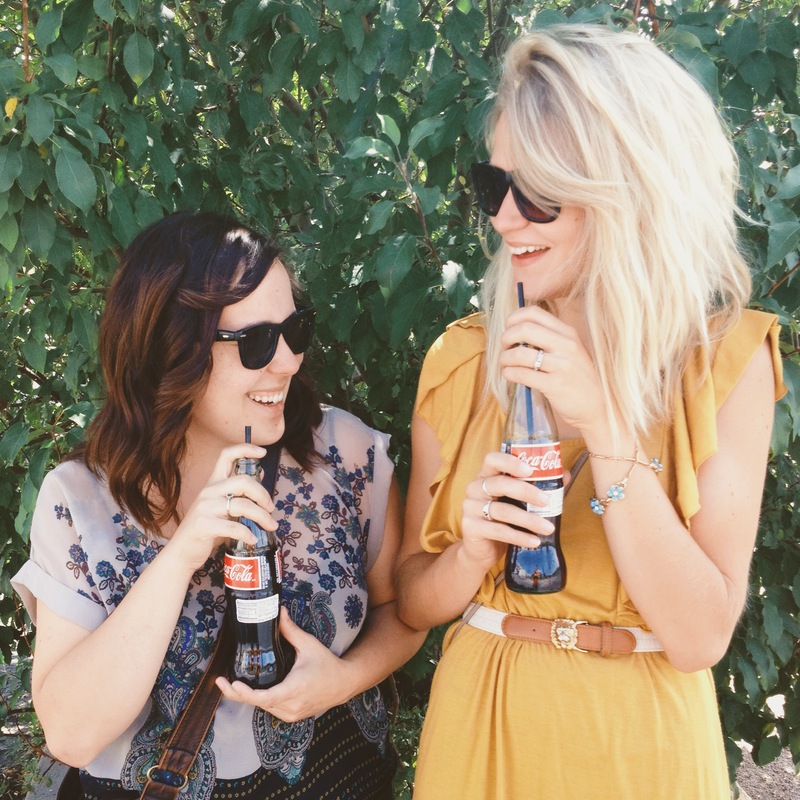 Goodbye total 90’s (now vintage)…hello life abroad! On top of all of the boxed up knickknack stuff we are shedding, I have also proudly cut my wardrobe in half! If you know me, you know I am a fashion fanatic. But cutting it half had to be done, especially for my and my husband’s future sanity. Pictured above is a little less than half of my closet. I had already taken some of my nicer things to consignment shops to sell when I took this photo. Crazy, huh? 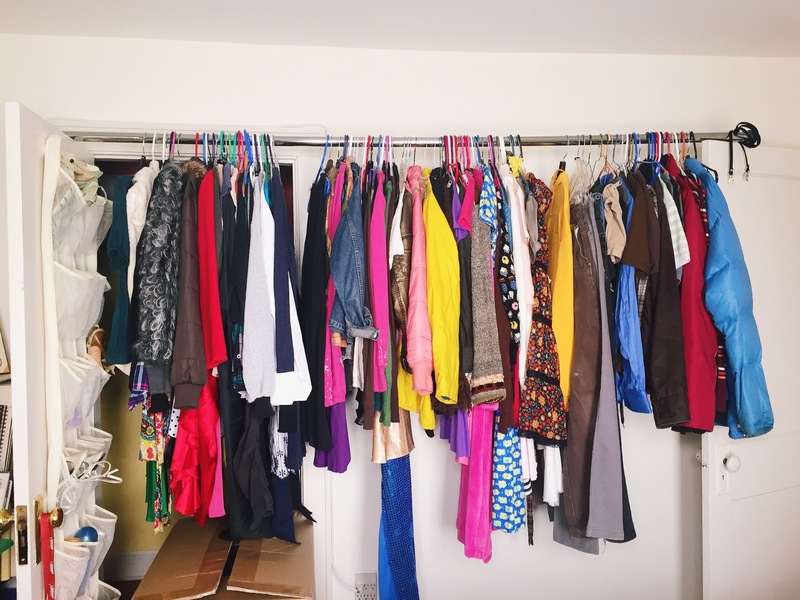 Having gone through this now, I feel like I have learned a ton and can help you cut your closet in half too! 1. Be in the right mindset. I started clearing out my closet a month before my first yard sale. Literally. 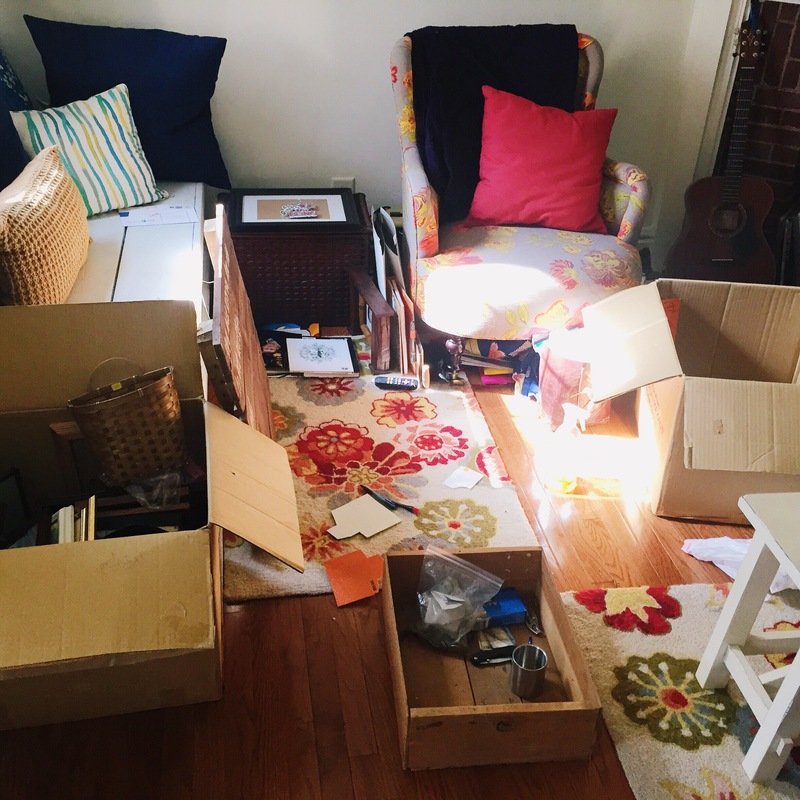 I also have found that I work better in small doses, or, when I come to a realization of how much stuff I actually have and have to get rid of. You know that kind of mindset where you end up cleaning your entire bathroom, kitchen, and car PLUS do two loads of laundry just because you are in the mood? Yeah, this kind of mindset which in my opinion, doesn’t come around often or easily! You really have to give yourself some time ahead of the game in order to be sure that you can get everything you want to get rid of on time. 2. Give yourself a deadline. For me this was easy. By my first yard sale date, I knew that I had only one month to clear my closet plus the rest of the stuff I was hanging onto for no reason. If you are not moving like I am, but rather just wanting to clear out some of the clutter in your closet and basement, it is more likely to be done if you give yourself a date and stick to it. 3. If it is ripped or doesn’t fit, get rid of it. If you haven’t gotten that seam/button fixed, or the hem adjusted in the last six months, it is time to face reality: it just isn’t going to happen. When I started going through the bottom of my closet to de-clutter, I found a bag filled with clothes that had been either torn or missing a button (clothes that I had also been meaning to fix since ages ago). But to be honest, because I had given myself this rule, I made an exception and allowed myself only one hour to stop everything in my tracks so that I could fix two pieces that meant a lot to me and that I would never be able to part with. After sewing on a button to one and fixing a ripped hem on another, I then accepted these two pieces to the “keep” pile and rid myself of the rest of the bag. It is all about give and take I guess. 4. If you pull at it or it pulls on you, get rid of it. This tip goes along with tip #3. If I know I am going to wear a skirt that I am constantly going to have to tug down, or a button up shirt that seems to unbutton at the bust spontaneously, then I would throw it right into the “get rid of” pile. Also, if it was something I have had for years (like, since high school) and I felt like a high-schooler wearing it (i.e., short shorts, and/or a not-cute, outdated crop top that I still had lying around) then it also went into the “get rid of” pile. 5. Allow yourself a “try it out” day. 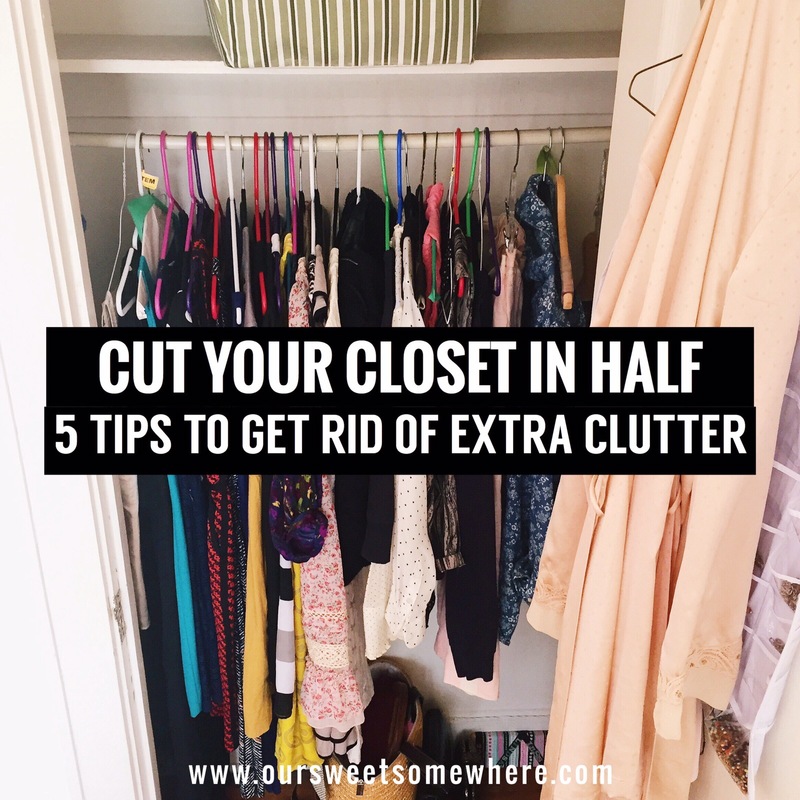 This may be the most important tip that helped me to get rid of the mounds of clutter in my closet since it seems to be my biggest issue when trying to get rid of anything. Since I gave myself a month in advance to pare down my wardrobe, I decided to give certain pieces of clothing a chance before I officially tossed them in the “get rid of” pile. For instance, if I came across an old skirt, top, or dress and felt like “hmm, maybe I’ll wear that again” or even hesitated to get rid of it, then I set it aside. During the next week I told myself that I had to make an outfit work around the “maybe” piece or it would have to go into the “get rid of” pile. If I didn’t wear it during that week, then I wouldn’t let myself keep it. I at least gave my clothing a second chance and proved to myself that it really wasn’t going to be worn again. Also, if I did wear the “maybe” clothes and was self-conscious during the day while wearing it, I then got rid of it too since I knew I wouldn’t want to feel uncomfortable again and would never pull it back out of my closet after the allowed test run. And here it is…my closet after the clutter was gone! The top basket is filled with t-shirts that I wear and the bag below has purses and scarves. Don’t be completely fooled since I currently have my jeans, shorts, and pajamas in my dresser. I also am storing the coats that I’ll be wearing downstairs. Oh, and there are a few more things that are folded and sitting on top of my couch right now that I still need to put away. Okay, so I’m not completely saintly as this picture may depict, but I would say I did a rather good job in getting rid of my clutter and cutting my closet in half once and for all! 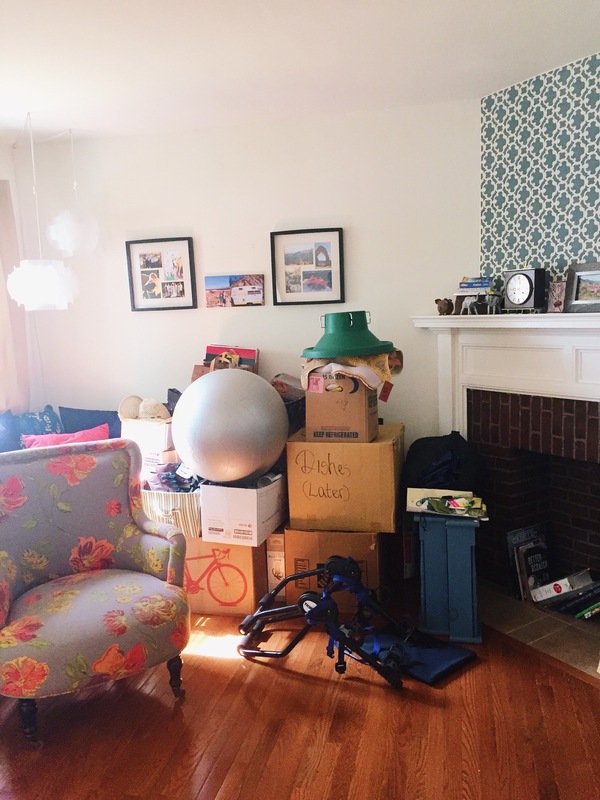 This entry was posted in Adventures, Get Inspired and tagged clean, Clutter, cut your closet in half, cutting down, Declutter, Moving Abroad, Rome, tips, yard sale. Bookmark the permalink.